The Hohner Double Puck C-G Harmonica is a double-sided harmonica featuring a 10-hole diatonic design, keys in C & G, brass reeds and an ABS mouthpiece. The Puck is the smallest 10-hole Richter harmonica on the market, with covers that slot into conically cut grooves on the edges of the reed plates and remain in place through their own tension. 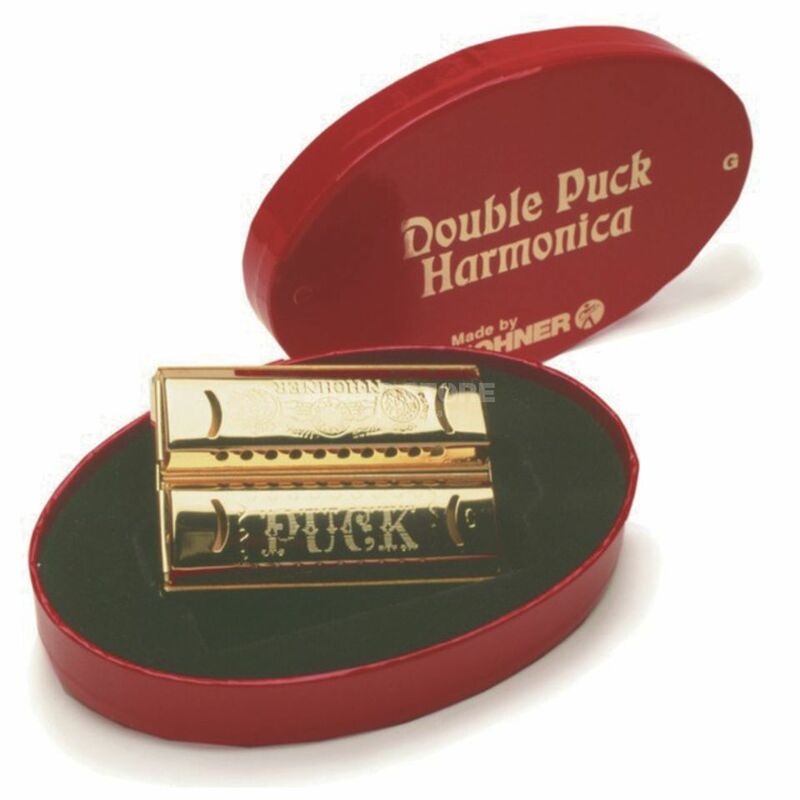 The Double Puck is the smallest double-sided harmonica ever made, and comes with a black plastic comb, 20 0.9mm brass reed plates and keys in both C and G.